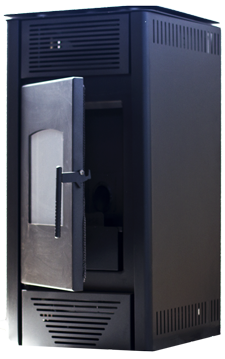 Our 11KW Wood Pellet Heater is the standard unit currently available from Ecofriendly Solutions. This 11K Wood Pellet Heater has its own ignition so no fire-starter required. The 11KW Wood Pellet Heater is rated to heat up to 120sqm (performance will depend on the quality of the residence’s insulation). The wood pellet heater will only run of 6-8mm wood pellets. Use of any other fuel will void any manufacturer’s warrantee.